Several attempts have been made over the last sixty years or so to record all Robert Schumann’s works for solo piano, a fascinating cosmos full of variety that ranges from extremely virtuosic pieces for the concert hall to valuable literature for piano tuition. This attractive but difficult quest has unfortunately been marked by a lack of the necessary care, not to mention purely artistic deficiencies, so that none of the releases deserves the name “complete recording”. Since Schumann published several works (Impromptus op. 5, Davidsbündlertänze op. 6, Symphonic Studies op. 13, Concert sans Orchestre or Sonata in F Minor op. 14 and Kreisleriana op. 16) in two more or less different versions, it is not legitimate in a “complete recording” to include only one of the versions, let alone to amalgamate two of them. Moreover, works published at remote places as well as unpublished works and fragments that could easily be completed without too much speculation, have so far been taken into account only in exceptional cases. 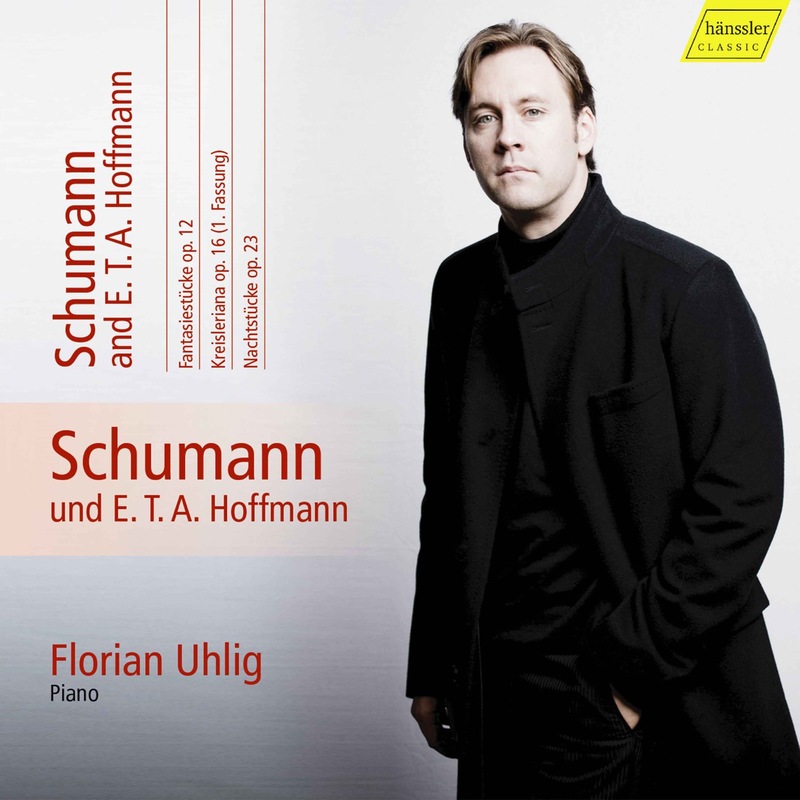 Florian Uhlig’s 15-CD set is the first genuine complete recording of Robert Schumann’s works for solo piano. On CDs sensibly concentrating on different themes (e.g. “Robert Schumann and the sonata”, “The young virtuoso”, “Schumann in Vienna”, “Schumann and the counterpoint”, “Variations”), the pianist for the first time attempts to present all the original piano works between 1830 (Abegg Variations op. 1) and 1854 (Theme and Variations in E flat Major), using the latest critical editions and/or first editions. Several of those CDs include first recordings. The introductory notes written by Joachim Draheim, who has discovered and/or edited a number of the works, throw light on the biographical and historical backgrounds of the respective groups of works. That was the assessment published by the doyen of music critics, Joachim Kaiser, of the recording of Beethoven’s piano variations released on the hänssler CLASSIC label in 2009. Since then, Florian Uhlig has recorded some 15 other releases on the same label, all of which have received high praise in the international journals and won awards (e.g. German Record Critics’ Prize): complete works for piano and orchestra of Robert Schumann and Dmitri Shostakovich, piano concertos by Ravel, Poulenc, Françaix, Debussy and Penderecki, and Ravel’s and Schumann’s complete works for solo piano. 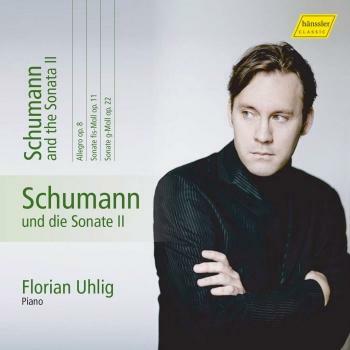 15 CDs are scheduled for the Schumann cycle, 9 of which have already been released. Florian Uhlig was born in Düsseldorf and gave his first piano recital at the age of twelve. He studied in London at the Royal College of Music and the Royal Academy of Music, finishing with the concert diploma. He was also influenced by working with Peter Feuchtwanger and by his research towards a PhD thesis at the University of London on the role of the performer in the context of musical genre. Florian Uhlig reconciles contradictions in an unusual manner. On the one hand, he is rooted in the German music tradition, which is associated with seriousness, style and structure, while on the other, his many years in London have led him to develop more of an individual approach to musical works than is usual on the “continent”: pointed liberties, eccentric combinations of repertoire and curiosity about rare works. Florian Uhlig made his orchestral debut at the Barbican in London in 1997. Since then he has appeared at leading concert halls across the world, performing with orchestras like the BBC Symphony Orchestra, the Beijing Symphony Orchestra, the Deutsche Radio Philharmonie, the Dresden Philharmonic, the Hong Kong Sinfonietta, the Polish Radio Symphony Orchestra, the Simón Bolívar Youth Orchestra of Venezuela, the National Symphony Orchestra of Taiwan, the Bavarian Radio Chamber Orchestra, the Stuttgart Chamber Orchestra and the Vienna Chamber Orchestra. He has worked with conductors like Krzysztof Penderecki, Josep Caballé, Claus Peter Flor, Eivind Gullberg Jensen, Kristjan Järvi, Michael Sanderling and Gerard Schwarz. Florian Uhlig has performed at the Beethoven Festivals of Bonn and Warsaw, Lorin Maazel’s Castleton Festival, the Menuhin Festival in Gstaad, the Hong Kong Arts Festival, the Mecklenburg-Vorpommern Festival, France Musique Paris, the Schleswig-Holstein Music Festival, the Schwetzingen Festival and the Vienna Festwochen. 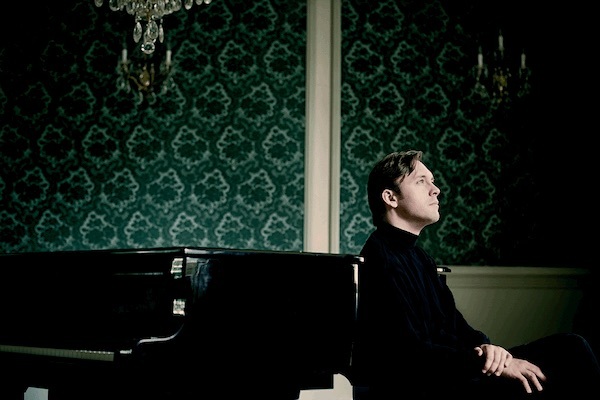 In addition to his solo activities Florian Uhlig is much in demand as a chamber musician and lieder pianist. He was the last partner of the legendary baritone Hermann Prey. In 2009, Florian Uhlig founded the Johannesburg International Mozart Festival in South Africa. As Artistic Director, he has since then guided the fortunes of the two-week music festival, which presents symphony and choral concerts as well as chamber and solo recitals featuring top-class ensembles and artists, additionally exerting important influences in the fields of interdisciplinary projects, contemporary music, the promotion of young artists and social integration. Beginning with the summer semester of 2014, Florian Uhlig was appointed Professor of Piano at the Musikhochschule Carl Maria von Weber in Dresden. He holds master classes in Germany, Great Britain, Canada, Hong Kong, South Korea, China and Switzerland. Florian Uhlig was accorded Associateship of the Royal Academy of Music in London in May 2015.